The TTXGP and FIM announced today a historic change in the face of electric motorcycle racing. The two organizations have announced an agreement under which both the TTXGP and e-Power racing series will be replaced by a new series. 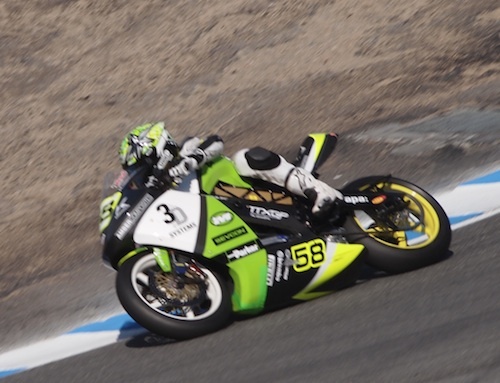 The announcement resolves several years of schism which split electric motorcycle racing into these two camps, and may help to accelerate the "growth and higher profile" for this sport. This is a ten year deal under which the TTXGP will transition to the role of "Race Promoter" and the FIM will be positioned as the sanctioning body for electric motorcycle racing. Prior to this the TTXGP tried to fill multiple sets of shoes, racing promoter, technical standards, and race sanctioning. This announcement puts electric motorcycle racing in the same pattern as other motorcycle racing series, where the FIM handles technical and sanctioning work, and a race promoter organization handling the marketing. For example the MotoGP's race promoter is Dorna. The new series (whose name was not been revealed) will (in 2013-14) be run as a "World Cup" and as a support class to other FIM events, such as the MotoGP. For 2013 there will be two championship series, one in Europe, the other in North America, with the World Final in Asia. The dates and locations of these events were not yet disclosed. An astute reader will notice that Australia is missing from this list. As we noted the other day, the partnership between the eFXC and TTXGP has ended, with the eFXC choosing to go its own way. The rules for 2013 have not been announced, but the TTXGP says to expect those shortly, and that for 2013 they'll be as close as possible to the 2012 rules. For 2014 the configuration will change again with the electric motorcycle racing series operating under a global championship calendar, with at least six events spread over three continents. Teams will accumulate points over the season, and there will not be a World Final race. In that year it will still operate as a support class to other events. 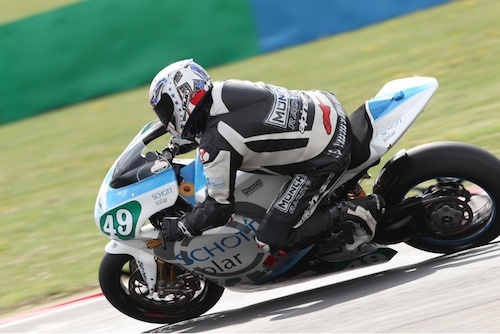 Starting in 2015 the organizations expect the electric motorcycle racing series to be "a headline event in its own right with a global calendar." What this means is that the series will stop being a support class for other racing events, but instead stage its own events. It will also be the "world’s first all-electric World Championship" and consist of racing weekends across three continents. The details of, for example, the racing classes have not been nailed down and the TTXGP says "will be announcing deals with new partners over the course of the next 18 months."